Whenever someone is asked what they do for a living and they say “I’m an author”, they are likely to be viewed with skepticism. After all, in a society where success is more often measured by how much money you have in the bank than by the quality of your relationships, saying that you are an author is viewed roughly like the proclamation “I’m an actress” coming from a waitress at TGIFriday’s in Southern California. I am an *avid* reader – I have put myself to bed with a book pretty much every single night of my life since I was five years old, and I consider books to be right up there with food, water, shelter, and oxygen on the list of life’s necessities. But I’ve never really thought all that much about what it means to write until I started this blog. The truth is, writing is not easy. Writing regularly is hard – particularly when you have a day job. And writing *well* is truly a gift. In the past 30 days, I’ve failed miserably at my original blogging goal – I intended to publish 30 blog posts but only managed 17. 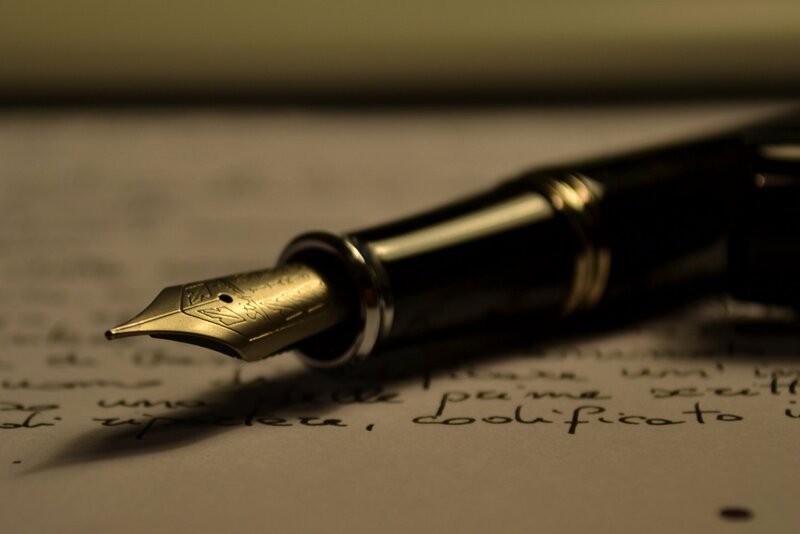 Despite that, I have gained a deeper appreciation what it means to be an author – especially an author who is not yet established in the public view, and thus is writing for the love of the story and the craft. I’m privileged to know one such author personally. His name is David Burgett and I met him while working at a technology company in Kansas City where I managed a group of analysts and he was a technical architect. David isn’t like most other technical architects, though. He has a degree in Creative Writing and has dreams of making his living writing science thrillers. The difference between David and most other people who would like to make their living writing? He is doing something about it. David *writes*, and he writes quite a lot. This man makes time to do what he loves in between working full-time as a software engineer, caring for his two children, and fostering a successful marriage to his wife, who works just as hard as he does. Heck, I don’t have a spouse or kids and I couldn’t even manage to write one blog post a day for 30 days, so the fact that he has managed to write, publish, and publicize three novels and a novella while taking care of his family and day job is amazing to me. And his books are highly enjoyable. I’m not sure he is up for Pulitzer Prize this year or anything, but I read his book The Happiness Equation on a flight from Rome to Chicago this fall and I simply could not put the book down – or stop thinking about the overall plot and the development of the main character, Lazarus, for several days. And he’s written *four* works and published them in less than two years? Unreal. Thinking about David, and creating my own (not nearly as good) blog posts have made me appreciate the craft of writing much more than I ever have. I’m not just reading books for the pleasure of enjoying the plot and characters, I’m also delighting in clever turns of phrase – slowly and with great relish, as one might savor a fine wine. Given that I’m currently reading a lot of Terry Pratchett, there is quite a lot of clever turn of phrase to enjoy. It’s taking me longer to finish a book right now, but I’m reveling in the sentences, the words – even in some cases the clever use of capitalization. Please support the authors in your lives – whether they are writing the Great American Novel, a blog about fitness, or an article for the high school newspaper. And if you are interested in reading some books that are part science fiction, part thriller, and all fun, please check out David’s stuff – either at www.davidburgett.com or in the Kindle Store. “The Happiness Equation” is being delivered to my Kindle as I type this. Thanks for the recommendation! And for the record, I really enjoy your blog even if there is not a post every day. It just makes those days where there is a post even more special. 🙂 Thanks and I hope you continue your blog. Shelby, thanks so much for your kind words, and thanks even more for buying David’s book! I am sure you will enjoy it, and even without meeting him you will probably agree he is our kind of people. If you have any suggestions on topics for my blog, please let me know by posting a comment! Agree–and especially noted the comment about reading before sleep. It’s one of life’s greatest pleasures, isn’t it? Oh my gosh, it certainly is, Maurice! I will go days without turning on a television (which is why I gave up cable several years ago) but if I don’t read every day, I get antsy.